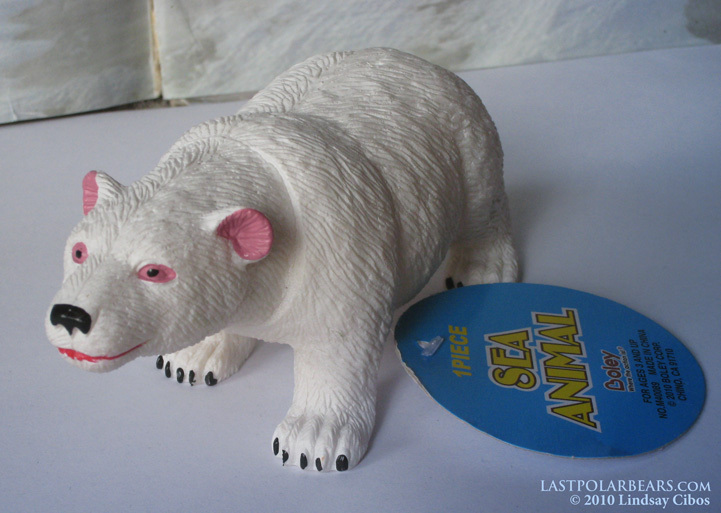 Ever since I started working on The Last of the Polar Bears, my parents have started picking up the occasional polar bear related trinket for me. Last Christmas, it was a polar bear calendar and a beautiful book of Arctic photography. 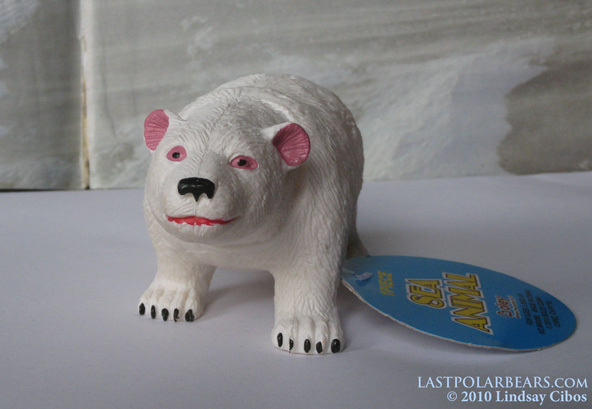 Recently, they gave me what can only be described as quite possibly the world’s ugliest polar bear toy. As my mom writes jokingly on the back of the tag, “Look, it has a smile”. Lol He is pretty “derpy”.